Urinary tract infections (UTI) are caused by pathogenic microorganisms in the urinary tract (kidney, bladder, urethra). The majority of UTIs are caused by the bacterium Escherichia coli (E. coli), normally found in the digestive system. Usually, bacteria that enter the urinary tract system are removed by the body before they can cause symptoms. But, in some cases, bacteria overcomes the natural defenses of the body, therefore causes infection. An infection in the urethra is called urethritis. A bladder infection is called cystitis. Bacteria may ascend up to the ureters to multiply and cause the infection of the kidneys (pyelonephritis). Signs and symptoms of urinary tract infections include; fever, chills, a strong, persistent urge to urinate, burning sensation when urinating, cloudy, foul-smelling urine, and pelvic pain in women. 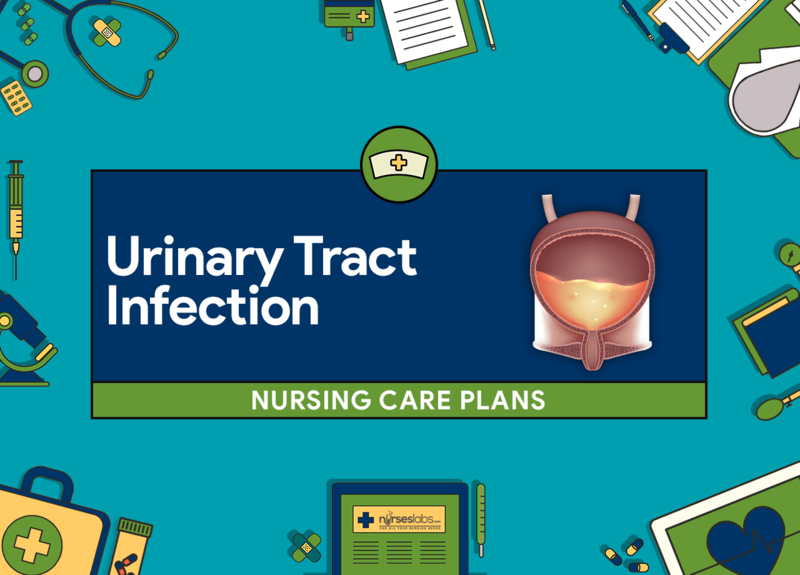 The focus of this care plan for Urinary Tract Infections (UTI) include relief of pain and discomfort, increased knowledge of preventive measures and treatment regimen, and absence of complications. Frequent urination, urgency, and hesitancy. Client will achieve normal urinary elimination pattern, as evidenced by absence sign of urinary disorders (urgency, oliguria, dysuria). Client will demonstrate behavioral techniques to prevent urinary infection. Assess the patient’s pattern of elimination. Serve as a basis for determining appropriate interventions. Note client’s age and gender. UTIs are more prevalent in women and older men. Palpate the client’s bladder every 4 hours. To determine the presence of urinary retention. Encourage increased fluid intake (3-4 liters a day if tolerated). To help improve renal blood flow. Encourage the client to void every 2-3 hours. To prevent the accumulation of urine thus limiting the number of bacteria. Instruct the female client to wipe the area from front to back and the avoidance of bath tubs. Proper perineal care helps in minimizing the risk of contamination and re-infection. Maintain an acidic environment of the bladder by the use of agents such as Vit.C, Mandelamine (a urinary antiseptic) when appropriate. To prevent the occurrence of bacterial growth. Infection is a medical diagnosis, thus unacceptable.